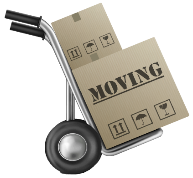 Simply fill out the form below to receive a quotation on moving your office! If you do not have time, simply fill in our Quick Quote or download a quotation form to fill in and send back to us! Must we supply Packing Materials and do the packing? Do you require Specialized Packing Materials? Must we supply Cartons for Self-packing by you? Please list the items that require specialized wrapping, one per line. Do you require In-transit Insurance? Do you require All-risks Insurance? Private or Commercial contractual transaction? If Private chosen previously, name of Person? If Commercial chosen previously, name of Business? If Commercial chosen previously, Name and Telephone Number of Contact Person?